Very pleased to announce that I’ve been shortlisted for the Aesthetica art prize 2019. The shortlisted artists work is shown here and will be exhibited at York Art Gallery from 8th March -14th July. Find out more here. Conform No1 is an experimental object where the fluidity and tactility of the material invites the observer’s participation and interaction. Made using a combination of advanced 3D printing techniques and traditional hand skills to construct a linked flexible form. The linking system and base structure make the object appear simple, but through physical interaction its form reveals complex and infinite variations. 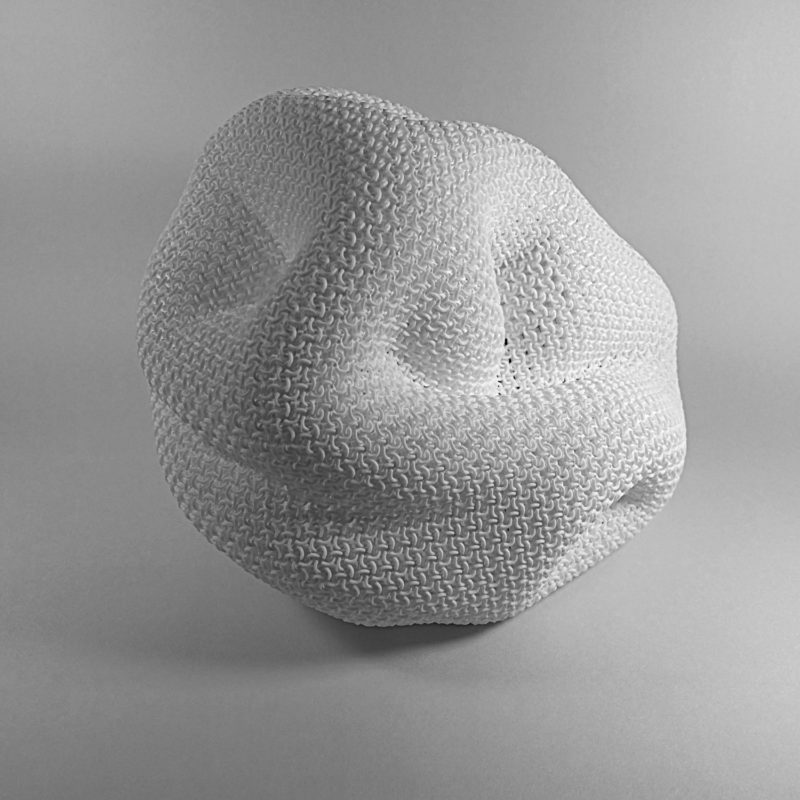 Drawing inspiration from textiles and engineering, this sculptural object changes its form with each new interaction, encouraging play, observation and feedback. The material conforms in the hands of the user, but has qualities and characteristics all of its own, creating an endless dialogue of expression and interpretation.